NBC 6's Ari Odzer speaks to Stoneman Douglas High School students about returning for a new school year, six months after the mass shooting. 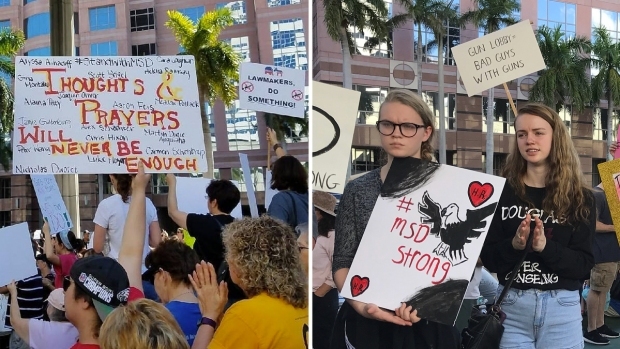 A day after the six-month anniversary of the Parkland school shooting, students at Marjory Stoneman Douglas High School are heading back to class — and to heightened security measures, including controlled access card readers and new camera systems. All the students wore lanyards with IDs around their necks as they walked past a heavy police presence Wednesday morning. Volunteers greeted them with German shepherds, and a helicopter hovered overhead as a throng of media watched from across the street. Three school resource officers, three security specialists and a dozen campus monitors were set to be on patrol. They'll be keeping watch at new fences and gates at the beginning and end of the school day, to ensure that only staff and students wearing ID badges are allowed to enter. 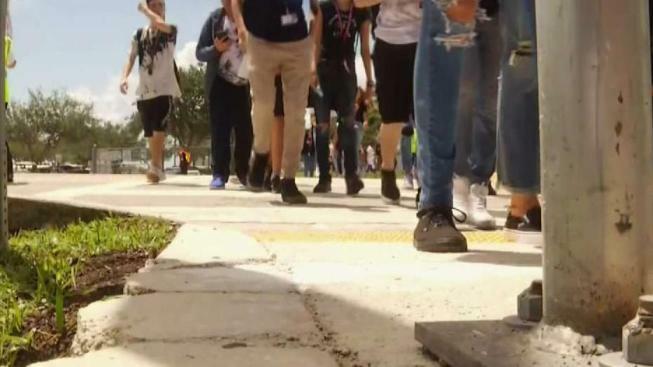 Security measures across all Broward County schools have been enhanced in the wake of the Parkland shooting. A new state law, for example, mandates that every school in Florida have at least one armed guard or school resource officer on every campus. To comply with that law, the Broward Sheriff’s Office is training former cops and military vets to patrol school grounds. Security and safety enhancements also include 10,000 upgraded real-time surveillance cameras, a $5 million expansion of mental health services and the ID badges for students, staff and visitors. Six months after the mass shooting, Parkland also has a new police captain. "Everybody just wants to get back to the way things were or as close to that," said police Capt. Chris Mulligan. "And our job is to get out to the community and just try and reassure them as much as possible that what we are working for as well."